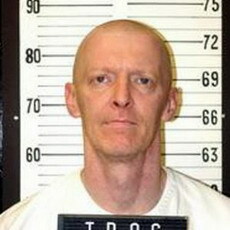 Daryl Holton went to the Tennessee electric chair. Holton was an depressive Gulf War veteran with an acrid relationship with his ex-wife Crystle. Bitter at being kept from his children for weeks on end, Holton picked up his three kids and their half-sister on November 30, 1997 and told them they’d be going Christmas shopping. Holton is met in depth in the 2008 documentary Robert Blecker Wants Me Dead, detailing his remarkable relationship — even friendship — with vociferous death penalty proponent Robert Blecker. Holton’s was Tennesee’s first electrocution in 47 years and, as of this writing, its last. The Volunteer State subsequently removed electrocution from its statutes altogether — but in 2014 it re-adopted the electric chair as a backup option in view of the nationwide shortage of lethal injection drugs.